Sleep-deprivation or disruption in sleep can have a strong impact on your metabolic rates, your general appetite and the way your energy is being spent. All of these have a significant role to play in weight regulation. Studies have established a strong correlation between your daily sleep routine and increasing weight. Therefore lack of sleep can cause weight gain. Apart from the fact that a restful nocturnal sleep of 7 to 8 hours is always advised for maintaining good health and keeping cardiac problems at bay, it also helps in maintaining a healthy weight. The primary correlation between sleep deprivation and weight gain is the hormonal imbalances created in the body. Our appetite is primarily governed by two hormones: Leptin and Ghrelin. Leptin is a hormone produced by the fat cells of the body. It tells our brain to stop eating on attaining satiety. Ghrelin is a hormone produced by the stomach and instructs the body to continue eating. For people, who sleep for less than five hours a day, there is a 15% fall in the production of Leptin and a 15% rise in the production of Ghrelin. Therefore, people, who are sleep deprived, are more likely to continue eating throughout the day as compared to those, who have enough sleep. 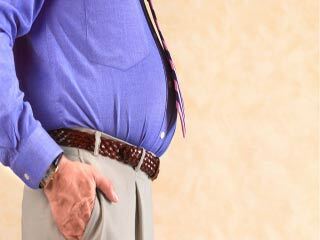 Overeating will subsequently, lead to unutilised calories accumulating as body fat. Studies reveal that almost 60 to 65% of the total calories burnt during the course of the day get burnt while sleeping. The remaining 30 to 35% get burnt during other regular activities when you are awake. Therefore, if you get less sleep, your body is likely to burn fewer calories compared with those getting enough sleep. It will ultimately result in weight gain over a period of time. Lack of sleep will also make you restless throughout the day hence, will affect your activities. 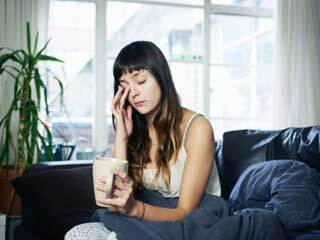 Lack of enough sleep can also be a precursor to a chronic build-up of stress. When you sleep less, your mind rests less and continues to remain worked up all the time. This leads to stressful situations for your system thereby, triggering the release of stress hormones. These stress hormones are known to be responsible for slowing down the pace of metabolism in the body thereby, leading to weight gain. Sleep deprivation can make one weak for high-calorie, low-nutrient foods. A person who sleeps only for 4 hours, is more likely to respond to food stimuli i.e. the sight and smell of enticing foods such as pastries, chocolates and ice creams and ends up consuming more calories. Due to lack of sleep one also consumes more fat. 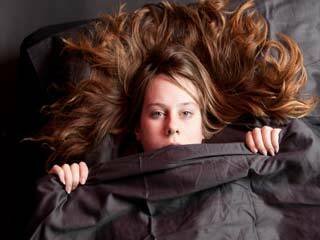 Also read: How sleep position affects sleep quality? 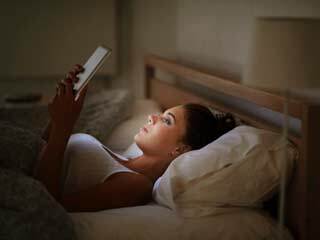 Sleep deprivation can not only lead to weight gain but also contribute to serious disorders such as hypertension, diabetes, cardiovascular complications and so on. If you are suffering from sleep apnea, which is a chronic condition related to sleep deprivation, it’s time to get medical help.